Whether you're in need of pannier bags for some serious touring, or just a rucksack for your daily commute we've got everything you could want. 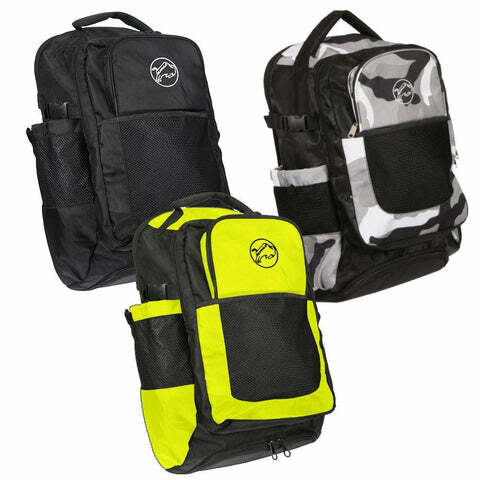 Our range of motorcycle luggage and luggage accessories covers all types of riders, needs and bike styles, ranging from soft luggage solutions, to hard luggage boxes, to simple seat webbings. This excellent 4-in-1 tank bag from Gear Gremlin was designed with bikers in mind, thanks to its versatile build and range of uses. With a 10 litre overall capacity there is no shortage of space, whether you are using it as a compact map holder, a rucksack, the deluxe version tank bag as illustrated above or as a standard map holder. With 7 compartments including the map holders, and a simple zip together system to secure all the main compartments this tank bag offer real value for money. The ripstop nylon material with PU internal bonding works perfectly to keep this bag in use for years, and with a rain cover included that features a transparent section for map reading this bag is a real all in one luggage solution. Universal rucksack cover to fit most small to medium sized backpacks. Hi-Visibility yellow with lighting reflective piping for extra safety on the road. Waterproof coated nylon construction with outer mesh pocket, durable even when riding at high speed plus simple and quick to fold up and store in your bike! When you’re need to carry a heavy load of luggage on your ride then a rucksack or a tank bag can be uncomfortable and limited in capacity compared to a set of pannier bags or a tail bag. Our range of pannier bags ranges from small capacity slimline models to expandable touring bags which can really take some loading. With tail bags from Buffalo, Gear Gremlin, and other brands we have something in our range for every budget to meet your needs. Rucksacks can be a really useful and convenient bit of kit for carrying luggage while you ride since the weight is attached to your body it can make riding with luggage a lot more stable. Any old rucksack won’t cut it on a motorbike as you shoot through the air at speed you need a motorcycle rucksack that’s durable enough and comfortable to be worn on those longer rides, which is why we have a selection of rucksacks for every style of rider. Sometimes you just need that extra bit of luggage space to add to your bike for small extras, or you’re looking for somewhere to hold your phone/map while you ride which is why tank bags are such a useful piece of kit. 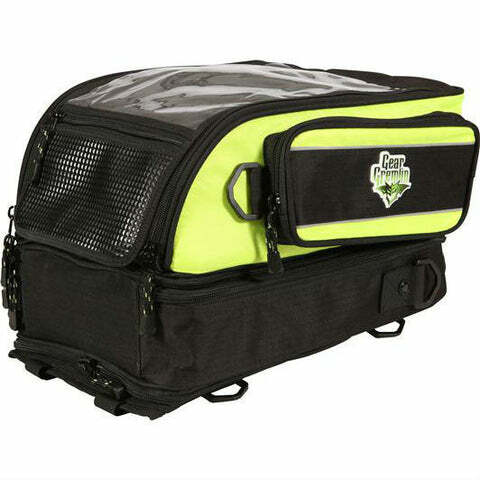 Tank bags are an inexpensive accessory for your motorcycle and when used along with a top box can allow you to hold a lot of extra luggage while you ride. Included in our range of luggage accessories include everything you need to suit your current luggage setup from cargo nets, helmet bags, kit bags, and smartphone/GPS holders it is all available at LDMotorcycles.co.uk.